East Columbus Avenue, Corry, Pennsylvania, U.S.A. 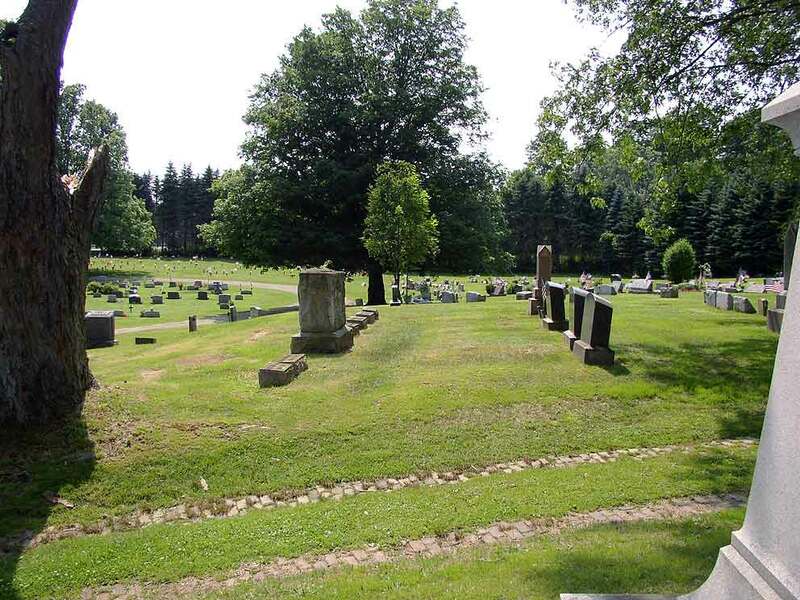 This cemetery is located in Corry, Pennsylvania, on East Columbus Avenue (US 6) near the intersection of PA Route 426. Click on the map to the right to view a map of downtown Corry. Corry is about 30 miles Southeast of Erie, Pennsylvania. 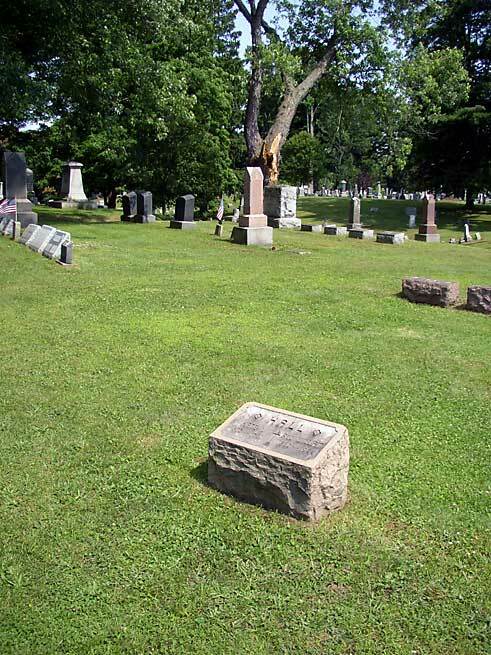 I visited the cemetery in July 2004 on a beautiful summer day. 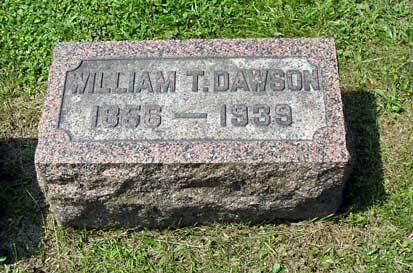 The prime objective was to find the graves of my great grandparents. 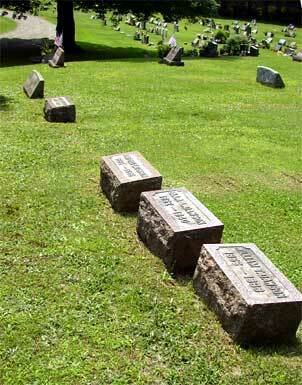 Looking around the area, I discovered several Hall family members graves. 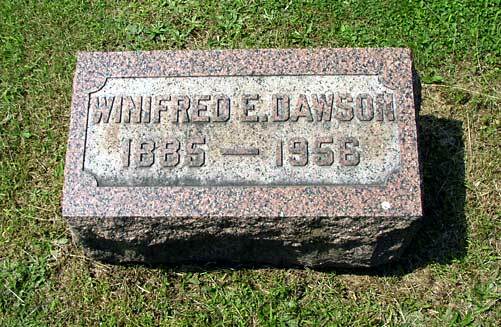 The Dawson and Hall graves are located on top of a small hill in the center of the cemetery located on the left of the main entrance. This location is identified in the photo below, along with views from other directions. Most photos are around 100k or smaller. Looking north from entrance roadway. 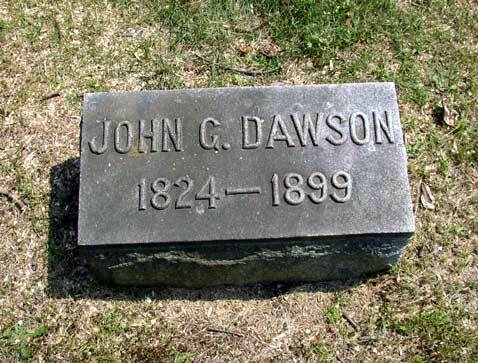 Dawson family plot is highlighted. Northeast view back to Dawson family plots. 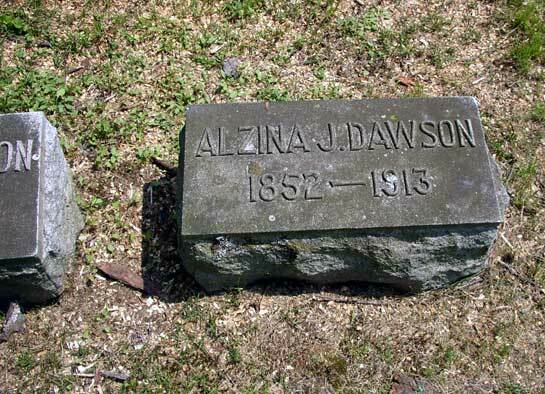 Looking West across the Richard P. and Alzina Dawson family plot. 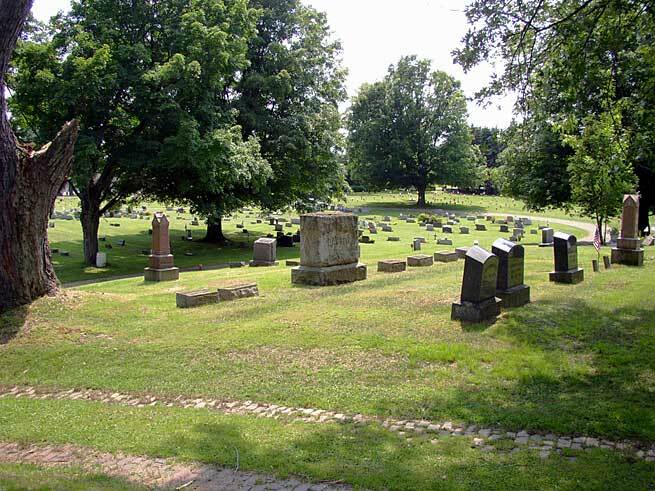 Hall graves located at the end of the hill in line with the row of headstones to the right. 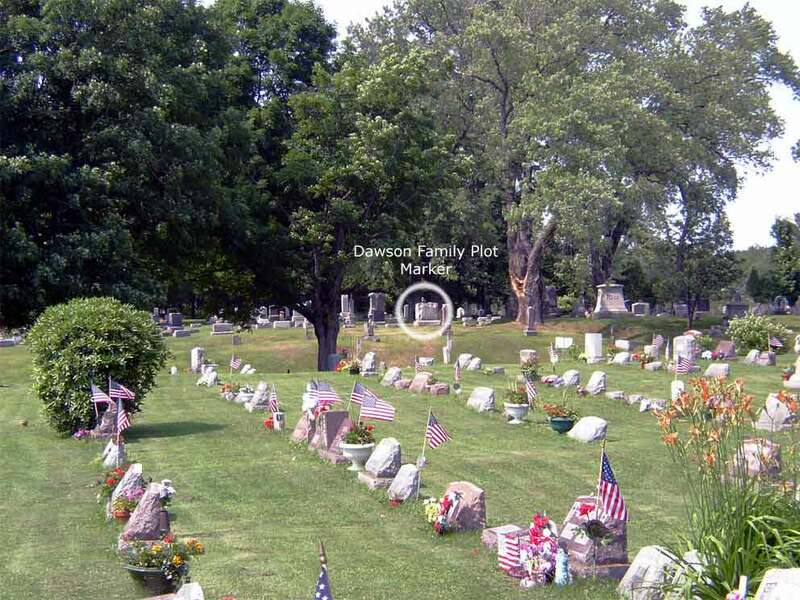 Westerly view of Dawson family plot. 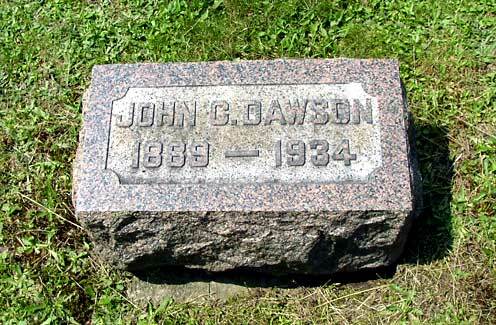 Shown relative to the Dawson family marker. 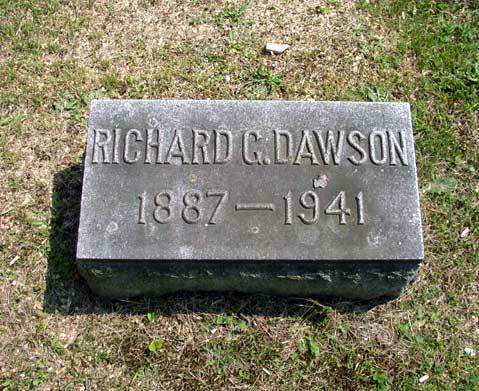 Wife of Richard G. Dawson. 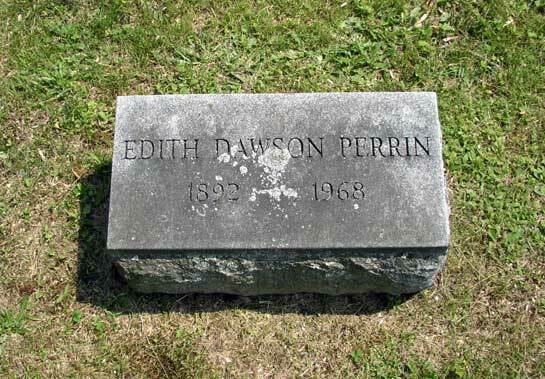 Sister-in-law of Mary "Meme" Dawson Wooster. 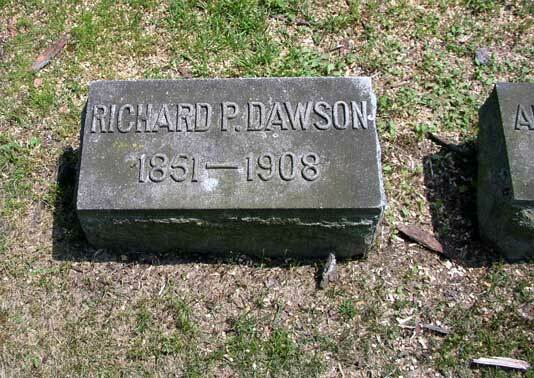 Meme and Edith lived together for many years in Warren, PA after Richard's death in 1941. 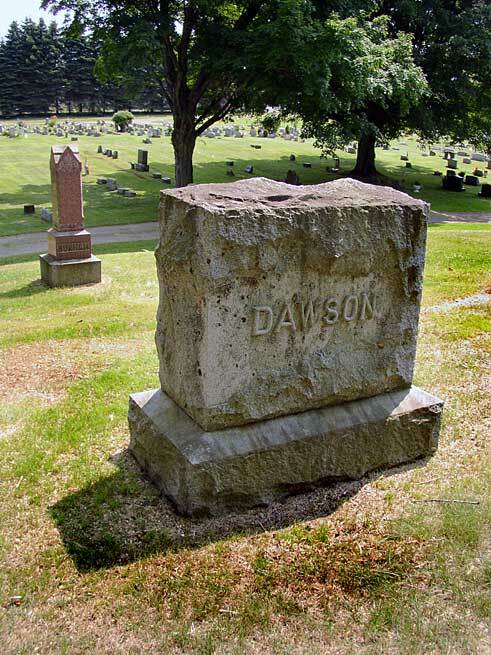 To the right (West) of the Dawson family plot. Relationship is currently unknown. 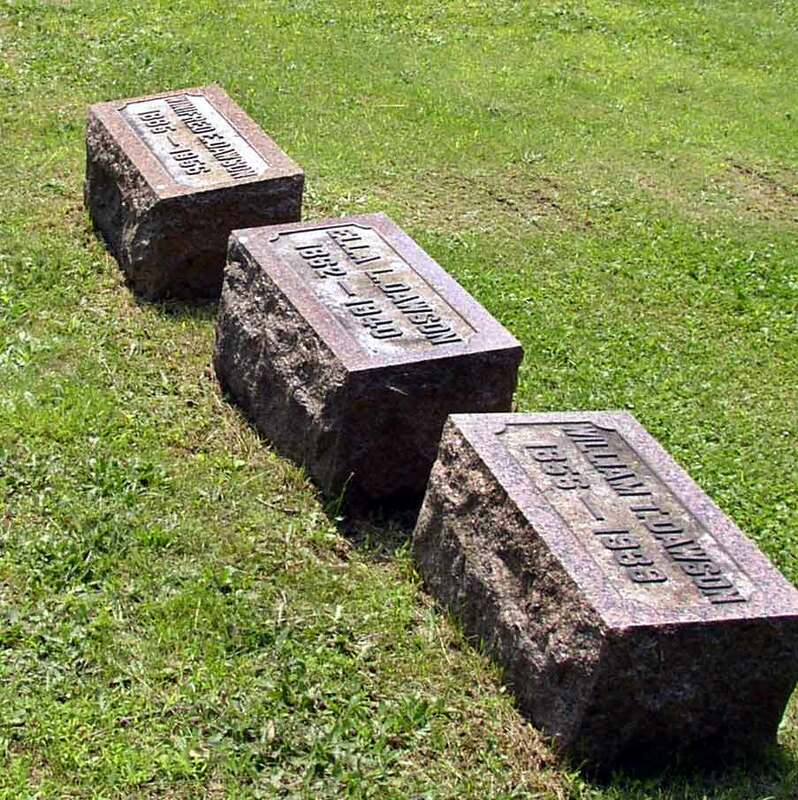 Other headstones found in the vicinity. Relationship is currently unknown. 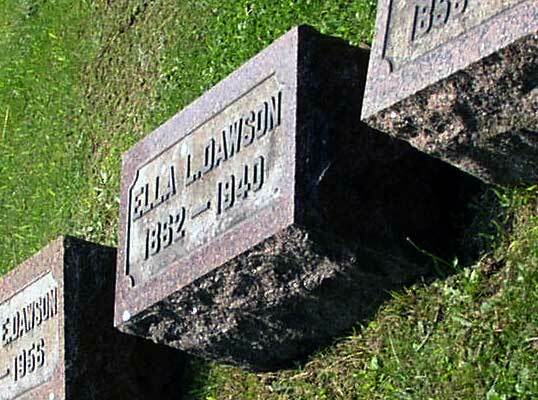 Eastern view of Dawson family plot behind Kate and Rev. 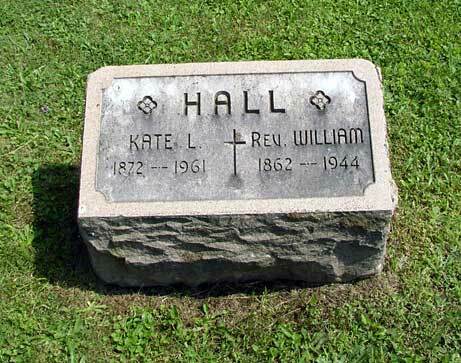 William Hall's headstone. 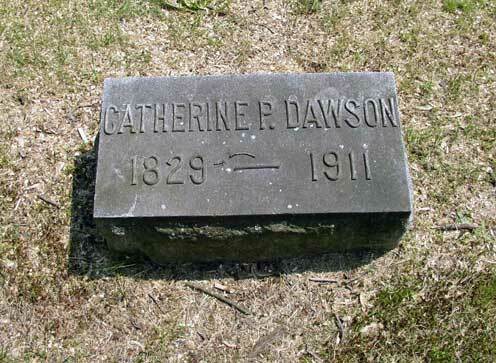 Headstone located nearby and believed to be related. 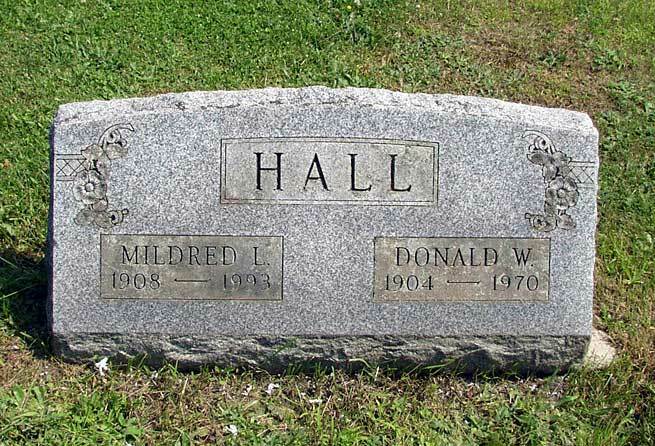 Hall was my grad grandmother, Alzina Dawson's maiden name. 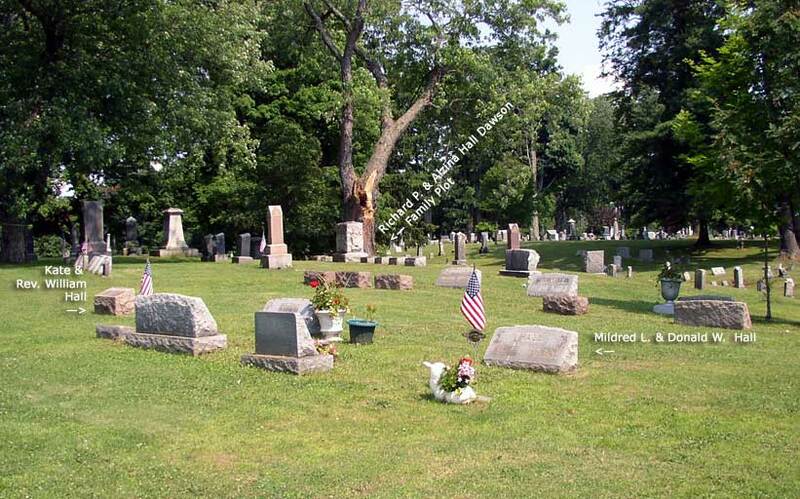 This site and associated images are Copyright 2004, by Charles A. Bliley, Webster, NY, U.S.A.